Get the right lip color for your complexion. 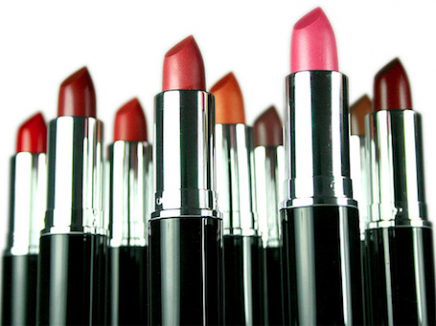 If you have a fair complexion, deep plum reds, wine reds and light shiny pinks are great lip colors. Lip colors like brown, warm reds and soft to medium plums with strong yellow undertones work well with a medium skin tone. If you have a dusky complexion the best lip colors for you are deep plums, wine reds and sheers with a touch of beige. Hi Vaishali. Apply almond oil on your lips before bedtime as this helps to lighten lips, thus reducing discolouration. Alongside make sure that you are cutting down on coffee intake (if you are a coffee drinker), wearing a lip balm with SPF in it, stay hydrated at all times by drinking a lot of fluids & use a lip scrub (I have a great home made lip scrub on my blog under ‘Lips’ segment) at least once a week to remove dead cells and dry skin from your lips. For lipsticks, until the colour of the upper & lower lip become similar, wear textures that are slightly more pigmented – like a matte or satin texture. Wear shades in purple, brown & brick. Hope this helps.